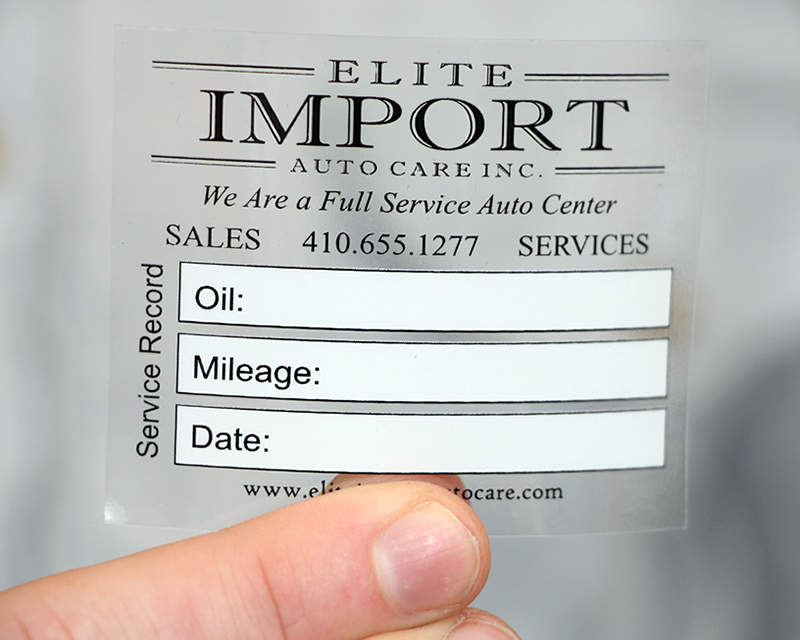 Place a reminder right on the windshield. 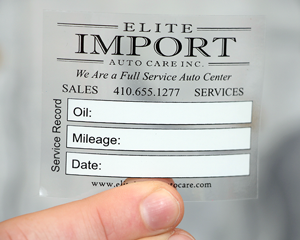 A colorful, personalized oil change sticker will keep your customers coming back. 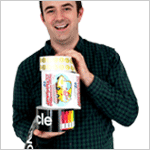 Handy reminders double as great advertising. 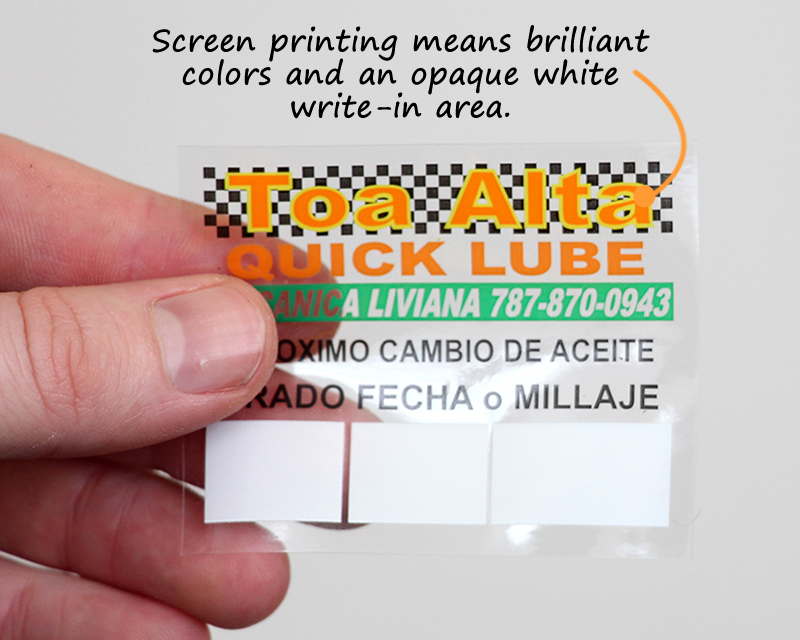 • Static cling stickers don't use an adhesive, they stick well to glass using a static charge built into the heavy vinyl. 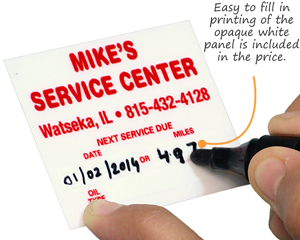 Easily swap out one label for the next without any cleaning. • Find both pre-made templates or use your own design. 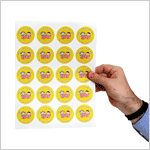 Send us a sketch and we'll turn it into a polished sticker design. 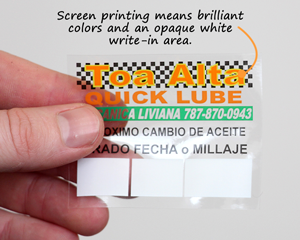 • Screen printed labels are the industry's leader for quality, and offer brighter colors than thermal or flexographic print. Get the next call too. A simple sticker can mean much more business later.